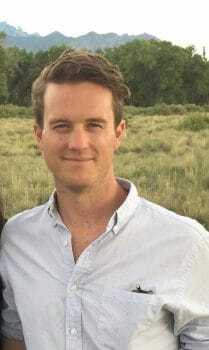 Colin Webster, assistant professor of Classics at the University of California, Davis, will give a lecture at Washington and Lee University on April 27 at 5 p.m. in Hillel House, Room 101. He will speak on “Time, Technology, and the History of Ancient Science.” The talk is free and open to the public. Webster is the author of articles, chapters and reviews, including “The Soundscape of Ancient Medicine,” in “Sound and the Ancient Senses” (eds., 2017); “Review: Patients and Healers in the High Roman Empire,” by Ido Israelowich, Tel Aviv University, in the Journal of the History of Medicine and Allied Sciences (2016); and “Heuristic Medicine: The Methodists and Metalepsis,” in Isis (2015). His research and teaching interests include ancient science and medicine, and ancient philosophy. Webster received his B.A. from the University of King’s College, his M.A. from Dalhousie University (both in Halifax, Nova Scotia) and his Ph.D. from Columbia University.